This photograph shows inmates Jack Monroe, prisoner number 9019, and William Morris, prisoner number 8134. Jack Monroe was received at the Kansas State Penitentiary on September 10, 1899 from Reno County, Kansas from escaping the Reformatory. 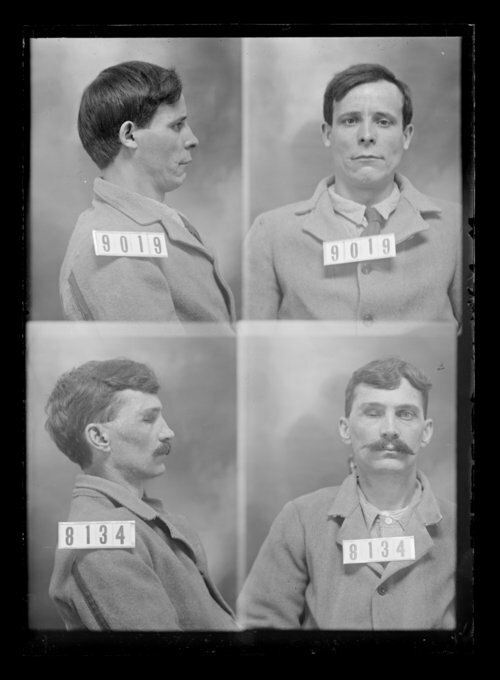 Inmate William Morris was received at the penitentiary on May 14, 1897 from Wilson County, Kansas for assault with intent to kill.